Have you ever wondered whether investing in gold bullion is a wise choice? With the market price of gold continuing to rise, any investment into this precious metal can be a very smart choice. The metals is very durable, and has been used as currency for thousands of years. Even a small number of coins or bars can be worth a substantial amount of money, and this yellow precious metal does not lose value over time in most forms. Investing in gold bullion will hold value, and with this type of investing you can even take physical delivery if you choose. You can invest in this precious metal by using a gold ETF, which is an electronically traded fund that is like a mutual fund for precious metals. 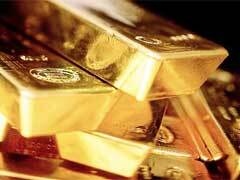 A gold commodity investment is another option if you want to invest. In the current market bullion may be one of the wisest choices you can make if you consider investing in gold bullion. If you are going to start your precious metals portfolio there are some steps you can take to make this choice even wiser. The gold bullion market rewards bigger buys, so if you make one large purchase you will pay less than buying the same amount in smaller lots. You pay a markup for any gold bullion investment you make, and a larger investment normally means a smaller markup. This means you will pay less for the same amount, so you can see a bigger profit if you decide to sell later. Investing in gold bullion can be a smart move, but there are many things you should consider. Will you buy large bars to get the best purity and price? These bars may be less liquid because of their large weight and value, so you may have to wait to sell until a buyer can be found. Smaller bars and coins may be easier to sell and offer more liquidity, but you will usually pay a higher markup for these. Even scrap gold value has increased incredibly over the last few years, making bullion a fabulous investment when it is done correctly. Some precious metals skeptics warn against investing more than 10% of your funds into this type of investment due to its incredible volatility. And rightfully so, every option should be carefully weighed and you should never forget capital gains tax once you decide to sell off your coins or bars if you hold them for over a year that is applied at 28% tax bracket.